Learn about WebFX SEO services for small businesses. Includes info on WebFX, free trials, pricing, customer reviews, and FAQs. WebFX provides Search Engine Optimization (SEO) services to help improve website traffic and increase revenue for a business online. Features include SEO tools, social media, web design and more. Pros: Quick service with solid results. Helpful and responsive customer support. Good implementation period. Cons: Unable to manage large and competitive workloads. Their SEO models need improvement. Bottomline: Solid SEO service. The service has been able to provide good results. However, best suited for small businesses. What is WebFX's price range? WebFX SEO plans range from $800.00 to $2500.00. If you want an Enterprise plan, you can contact WebFX to get a quote. Is there a WebFX free trial? No, WebFX does not offer a free trial. What are some WebFX alternatives? Where can I find the WebFX login? WebFX does not have a login option. WebFX Named Top SEO Firm & Global Company by Clutch. WebpageFX Announces Rebrand to WebFX. 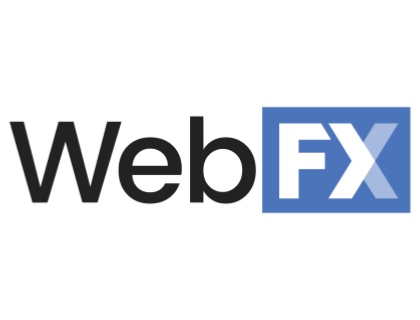 I found the guys at WebFX really easy to work with, providing a solution that has added real value to our business and impressed our customers from day one. They go beyond what's necessary. Thanks for the continued support. I found Sam so easy to work with, and can't be more pleased with the end result. Wouldn't hesitate to recommend WebFX.